Peter Senese and Carolyn Vlk Unveil Landmark Report Explaining How Abducted Children Are Illegally Removed From Country. A landmark study conducted by child abduction prevention advocates Carolyn Ann Vlk and Peter Thomas Senese released earlier today reveals astonishing loopholes in Western Hemisphere travel documentation requirements for children that inadvertently have created substantial opportunities for international child abductors and human traffickers who target thousands of U.S. children each year for cross-border abduction. 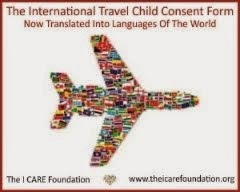 The extensive study focuses in part on the limited ground and sea travel documentation requirements needed for children traveling to contiguous nations as defined by the WHTI, including to the two nations that represent the highest concentration of abduction cases to and from the United States: Mexico and Canada. Additionally, the number of ‘unreported’ cases of international child abduction to contiguous nations is believed to be substantial and is discussed in Crisis in America: International Parental Child Abduction Today (2010) published by Peter Senese and Carolyn Vlk earlier this Fall. Supporting the concern of the existence of significant ‘unreported’ cases is the most recent National Incidence Study of Missing, Abducted, Runaway and Thrownaway Children (NISMART-2) study, which reports that of the 203,900 children that are estimated to be parentally abducted annually in the U.S., that only 28% (56,500) of these abductions were reported to law enforcement. The report has two main objectives: the first goal is to raise awareness of the loopholes traffickers and child abductors may utilize to facilitate their criminal acts of child-stealing so that targeted parents of child abduction, the judiciary and its court officers, law enforcement officials, and policymakers may act to protect children from this hideous type of crime. The second objective is to offer potential solutions through preventative measures and legislative changes that may assist in preventing child abduction and human trafficking as it is uniquely related to current WHTI policy. The more I understand how dangerous a place Mexico is for our nation's children the more puzzled I become over why we do not have more stringent border crossing protocals in place for our children. Mexico has been the location where over 1,000 U.S. child-citizens have been 'reported' to have been abducted to over the past two years. It is believed that substantially more children are abducted, but their kidnapping has not been reported to the U.S. Central Authority. What I have come to learn is that there are so many legal loopholes that would allow a person intent on abducting a child across international borders the ability to do so despite whatever court orders or government blockades established. And truth is, it is not very difficult to do. Not at all. In the upcoming report titled 'International Parental Child Abduction and Human Trafficking In The Western Hemisphere', Carolyn Ann Vlk and I will provide shocking information that answers reveals grave loopholes that allow abductors to capitalize on existing law that may enable them to steal our nation's children across international borders. It is believed that United States children-citizens are being criminally abducted, illegally removed overseas, and wrongfully detained in foreign countries in shocking and seemingly advancing and unprecedented numbers. This despite U.S. court orders prohibiting their removal and/or demanding for their immediate return. Remarkably, the necessary data required to accurately measure the total number of international parental child abductions (IPCA) does not exist due to the inability to measure what is believed to be a large number of ‘unreported’ cases, which is discussed in this report later on. Therefore due to the inability to measure ‘unreported’ cases, much of what has been previously reported in government and reputable organizations’ studies or statements should be considered as speculation due in part to the inability to measure ‘unreported’ cases, as well as forecasted numbers derived from immeasurable and highly questionable determining methodologies. The only measurable statistics are the number of cases reported to law enforcement and to The Department of State’s Office of Children’s Issues (OCI). The content of this report includes statistics from the two most current published annual reports which are dated April 2009 and April 2010 and titled Report on Compliance with the Hague Convention on the Civil Aspects of International Child Abduction.Assistant Secretary of State for Consular Affairs, Janice L Jacobs reports that during fiscal year 2009, the Office of Children's Issues experienced a significant increase in the number of reported international kidnapping cases. The 2010 report indicates that we can anticipate the current trends previously seen with respect to the increase in international parental child abductions to continue. In fact, the number of International Parental Child Abduction (IPCA) cases has nearly doubled since the fiscal year 2006 from 64 to 1,135. Carolyn Ann Vlk, the writer of Florida's Child Abduction Prevention Act, explains, "In response to a mandate of the 1984 Missing Children Act, the Office of Juvenile Justice and Delinquency Prevention (OJJPD) publishes periodic studies titled the National Incidence Studies of Missing, Abducted, Runaway, and Thrownaway Children (NISMART). The NISMART publications are meant to identify the numbers of children who are reported missing and the number of children recovered in a particular year. These bulletins consist of comprehensive studies with an emphasis on examining trends in the incidence of missing children." The NISMART I study (utilizing data from 1988 and published in 1990) reported that there were an estimated 354,100 family abductions annually. In order to derive data for that study in regards to the number of children that are victims of a family abduction each year a household telephone survey was conducted. The survey included a total of 10,367 interviews with adult caretakers. The Population Estimates Program of the Population Division U.S. Census Bureau estimated the U.S. population at 244,498,982 in 1988. To clarify, a sampling of telephone interviews from 0.0000413% of the U.S. population was utilized to provide the statistical data that is widely accepted as being an accurate accounting of the numbers of annual family abductions. The NISMART - 2 study, which utilized data from 1999 and was published in 2002, reported that there were 203,900 family abductions annually. This study also utilized a household telephone survey and completed interviews with 16,111 adult caretakers. Additionally, this study surveyed 5,015 youth ages 10-18 who lived in the sample households. During the study year the estimated U.S. population was 272,690,813, thus reflecting completed interviews of 0.000059% of the U.S. adult population. Once again, a small fraction of the U.S. population was interviewed as the only method of determining the annual numbers of family abductions. Critically, and troublesome is the fact that the NISMART studies did not derive any of the data relating to family abductions from law enforcement or other governmental agencies. Data was entirely compiled from random computer-assisted telephone interviewing methodology. Neither study conducted a second survey. According to the NISMART - 2 study that used data from 1999, only 28% of the 203,900 estimated abductions by family members or 56,500 abductions were reported by law enforcement. This illustrates a great reluctance by individuals to come forward and report their cases. We are unable to ascertain where NCMEC determined their 16,000 international child abductions per year. What we do know is that according to the Department of State, in several of their published statements, that there were approximately 16,000 international parental child abductions over a two-decade long period. What these inconsistencies demonstrate is a lack of data. Unknown is whether the NCMEC statement included an estimate of ‘unreported’ cases or perhaps was an error as the same ‘16,000’ yearly number is identical to the Department of State’s ’16,000’ two decade number. 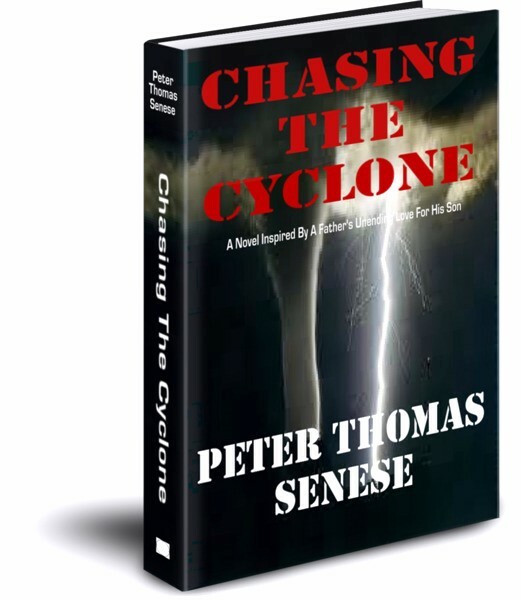 Peter Thomas Senese is the author of the upcoming book titled ‘Chasing The Cyclone’ which critics have praised as an extraordinary story on international parental child abduction, love, and parenting. He stated, “Criminal parental cross-border abduction appears to be increasing in the United States and abroad at significant rates despite the fact that there is not enough accurate data required to establish growth trends in cross-border abductions. The rise of abduction in our country as well as that seen in other nations indicates that we have a global pandemic on our hands. And as more children from different nations are stolen and not returned, including our own children, citizens will inevitably voice their growing anger over the fact that their nation’s children-citizens have been abducted. The stealing of children across international borders can, and very well will inevitably create grave challenges for all nations who sit at the world’s political and economic tables." This report will unequivocally demonstrate that new, carefully constructed research initiated by our government is immediately needed, and that the number of international parental child abductions is increasing despite efforts to stop this terrible act directed at our children-citizens. Indisputable, are the actual number of ‘reported’ abduction cases. Estimating the incalculable total number of ‘unreported’ cases is difficult to assess. Despite this inability to concisely determine the total number of cases each year, it appears America and our nation’s children-citizens are plagued by a dangerous criminal epidemic known as ‘International Parental Child Abduction’ that is silently sweeping through our nation. At risk are tens if not hundreds of thousands of our defenseless children who are targeted for abduction each year. 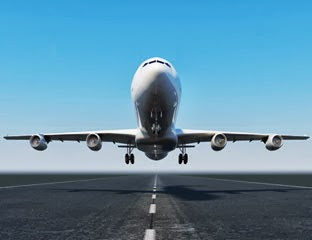 In April of 2009, the annual Report on Compliance with the Hague Convention on the Civil Aspects of International Child Abduction was released. In that publication, Janice L. Jacobs, Assistant Secretary of State for Consular Affairs writes, "Unfortunately, current trends reflect a steady increase in the number of international parental child abduction cases and highlight the urgency of redoubling efforts to promote compliance with Convention obligations and encourage additional nations to join the Convention." She also writes, "Very few options exist for parents and children who are victims of parental child abduction." In the 2010 annual report Ms. Jacobs continues to voice concerns over the increasing numbers of our child-citizens who have been wrongfully removed or wrongfully detained. This fact is evidenced by the statistics contained within the reports. The 2009 report utilized data that was collected during the period from October 1, 2007 through September 30, 2008 an is referred to as fiscal year (FY) 2008. This report reflects that 1,082 new cases were reported involving 1,615 children. During the study year the U.S. was successful in the return of only 361 children. The 2010 report covers the time period from October 1, 2008 through September 30, 2009 which is FY 2009. During FY 2009, 1,135 new requests were received for assistance in an attempt to have returned 1,621 children who were wrongfully removed from the United States. During FY 2009 the U.S. was successful in the return of 436 children. The report does not indicate during which FY year a returned child was abducted. It is important to note that as time passes, it becomes substantially more difficult to recover an abducted child. Carolyn Ann Vlk stated, "Admittedly, something is seriously amiss in our ability to accurately estimate the number of children victimized by the crime of child abduction. In my opinion, utilizing only a random telephone survey, to determine the number of affected children is a process flawed by numerous, serious methodological problems. Additionally, the cooperation and compliance rate in obtaining the return of our citizen children who have been criminally internationally abducted must be drastically improved. The recovery of so few of these children during an entire fiscal year is not and should not be acceptable". Unfortunately, many internationally abducted children are never returned because their abductions are not reported to authorities. The likelihood is that the vast majority of these types of cases never end with a child’s return. It would be reasonable to conclude that if a targeted parent did not report their child’s abduction, then in all likelihood, that U.S. child-citizen will not be returned to the United States. Due to the number of ‘unreported’ international abduction cases, it is difficult to determine a reasonable return-rate percentage. We recognize the difficulty in attempting to accurately estimate the ‘unreported’ case numbers and believe that it is probable that the number of returns of ‘unreported’ cases is extremely low and essentially immeasurable. Reasons for ‘unreported’ cases include the financial inability of a Chasing Parent to take legal action since they are responsible to pay for all costs associated with their child’s recovery – even though a child’s international abduction violates state and federal laws such as the International Parental Kidnapping Crimes Act (IPKCA). Furthermore, many parents experience a sense of hopelessness that any recovery efforts will be futile since there are great difficulties associated with bringing a child home, including the possibility of first trying to determine where your child is. Also, the fact is that many nations are not a party of or do not uphold the Hague Convention. Furthermore, there exist substantial prejudices in foreign courts. The NISMART I study reported that there were a total of 354,000 parental child abductions annually. The NISMART II study stated the total number of parental child abductions decreased to approximately 203,900 children. The truth of the matter is that we really do not know how accurate any of the data is or how large of a problem we actually have on our hands. What we do know is that hundreds of thousands of children are targeted for parental abduction each year, and out of this group, tens of thousands of these instances include planned international parental abductions. A leader in the field of parental child abduction issues, Dr. Dorothy Huntington wrote an article titled Parental Kidnapping: A New Form of Child Abuse. Huntington contends that from the point of view of the child, "child stealing is child abuse." According to Huntington, "in child stealing the children are used as both objects and weapons in the struggle between the parents which leads to the brutalization of the children psychologically, specifically destroying their sense of trust in the world around them." Consider that today in Japan, there are approximately 230 American children-citizens who were illegally abducted from United States soil to Japan by one of their parents in violation of U.S. court orders. To date, and for what is believed to be nearly fifty years, Japan – America’s strong ally – has never returned 1 American child who was parentally kidnapped and illegally detained in accordance to United States law. And tragically, the vast majority of the chasing parents left-behind in the wake of their child’s abduction are not permitted to have contact with their child. "I'm the only living parent to my daughter Erika," said U.S. Navy Commander Paul Toland, whose daughter Erika was abducted to Japan seven years ago, "my wife died and my daughter was subsequently kidnapped by her grandmother, yet I have absolutely no access to her. Both the State Department and the Japanese Ministry of Foreign Affairs have asked to visit my daughter to check on her welfare, but the abductor said no. In the Japanese system, where no enforcement mechanisms exist and compliance is completely voluntary, all any government agency can say to me is ‘We're sorry, we tried’. Nobody can offer any remedies or solutions, because none exist." At the time of Commander Toland’s child’s abduction, OCI did not include his case as an officially reported case since at the time, Commander Paul Toland, father of Ericka, was on active duty serving his country, and military personal cases were not counted as ‘reported’ cases. This has recently changed. Welcome to the absurd world of international parental child abduction. The bizarreness of Commander Toland and his daughter’s dire odyssey into the world of the incomprehensible is the norm experienced by many chasing parents and their children, not the oddity. 11. Limited power of the Office of Children’s Issues to intervene on behalf of a U.S. citizen. According to statements issued by the Department of State, reported cases of international parental child abduction increased by 40% from 2007 to 2009, which appears to be similar to what other Hague Convention signatory nations have experienced. This represents a mean increase of 20% per year. The 2010 report indicates the expected percentage increase in abductions is anticipated to be equivalent to, if not higher than the increases demonstrated during 2007-2009. What is not known is whether the increase in ‘reported’ cases to the Department of State’s OCI is due to greater public awareness and proactivity amongst targeted parents, an actual increase in the number of international abductions, the extensive outreach made by OCI to let targeted parents know that OCI exists and can assist a Chasing Parent, or all of the above. The increase in reported cases by the Department of State only demonstrates abduction cases that are actually ‘reported’. Unfortunately, it is believed that many abduction cases are not reported due to multiple reasons. This includes fear from immigrant aliens living in the United States with either documented or undocumented status that they may be deported if they file a Hague Application with OCI seeking for the return of their abducted child. In these cases, OCI will always accept a request for assistance regardless if the parent is here legally or not since The Hague Convention on the Civil Aspects of International Child Abduction does not say anything about citizenship status. And it has been OCI’s policy to never report an undocumented alien to the U.S. Department of Immigration and Customs Enforcement. Now consider the data contained in the 2009 Hague Compliance report indicating that the mean growth rate experienced between 2007-2009 was approximately 40% (an average of 20%). If the rate continues at a mean of 20% over the next ten years and we factor in the 2009 reported case numbers, this forecasts that our nation will have at least 9,647 of our children-citizens criminally abducted overseas in the year 2020, and from 2008 through 2020, 52,466 of our nation’s children will have been internationally abducted. Our position is that due to the existence of what we believe to be a significant and substantial number of ‘unreported’ cases combined with population growth and increases in documented and undocumented immigration migration, the rate of children abducted internationally will continue to rise at a rate of at least, if not substantially greater than 20% annually unless significant abduction prevention steps are immediately implemented. Combining the projected increases of ‘reported’ cases with the immeasurable ‘unreported’ cases that is apparent and real based upon immigration migration and economic factors, it is reasonable to state that America and our children are facing a serious problem. The absurdity of this all is so terrifying that you might be inclined and desirous to dismiss it, particularly when we consider the immeasurable number of cases presently classified as ‘unreported’ that may shift to the ‘reported’ category due to public awareness combined with OCI’s outreach efforts. It is important to note that none of these figures include the large number of children who have previously been internationally abducted and presently remain illegally detained overseas. Studies have demonstrated that an unprecedented number of abductions have occurred where one parent took unilateral action to deprive the other parent of contact with their child. The majority of abducting parents will typically use the child as a tool to cause the targeted parent great pain and suffering. Understandably, family abductions occur at a higher rate during times of heightened stress such as separation or divorce and often involve custody issues and visitation problems. The sad fact is that a large number of marriages, estimated to be between 40% and 50%, in the U.S. end in divorce. Peter Thomas Senese stated, “As a nation, the United States must fight back this sweeping plague by passing child abduction prevention laws and by increasing our judiciary’s level of competency in overseeing and enforcing laws associated with these complex cases of potential or actual international parental child abductions. Critical to judges and lawmakers’ ability to protect our children is the need for immediate research on this subject. The present available information is archaic, and more than likely inaccurate particularly due to the inability to measure 'unreported' cases. The community of child abduction prevention advocates has pointed this out for some time now. What we also need is for the creation and enforcement of well thought out and researched laws along with the upholding of the intent, spirit, and law of the international treaties such as The Hague Convention so we can protect our children and put an end to the spread of this malignant pandemic that has reached our shores. Carolyn Ann Vlk, the child abduction prevention advocate, commented, "Early on in my research on this critical issue I recognized the urgent need for preventative legislation. Thankfully, Florida's legislative body wholeheartedly agreed as evidenced by the unanimous votes. I am thrilled for the added measure of safety this new law will have in protecting the children of my great state. However, I will not be satisfied until all states have child abduction prevention legislation enacted." One of the great concerns is in determining the actual number of annual child abductions. Approximately 1,082 outgoing cases were reported to OCI during FY 2008 and 1,135 new cases were reported to OCI during FY 2010 . However, we must also consider the number of cases that are unreported. This leads to several obvious questions including how accurate is the data that was compiled in the NISMART publications. Particularly when we consider the study was generated, concluded, and widely disseminated based upon completed adult surveys of approximately 10,367 households in 1988 and 16,111 in 1999. We must also ask ourselves why there appears to be a large number of unreported abduction cases? And why is the data so old and outdated, and how could our government allow for this to happen? Budget constraints aside, we’re talking about out nation’s children, aren’t we? Undeniably, we need to know what the real numbers are. And finally, what can OCI do to further assist targeted parents and their children who have not reported their cases? In order to answer these questions, we must first look at the shift in our country’s population, and heavily weigh who we are – as a nation of immigrants. A report compiled by the renowned Washington based Pew Hispanic Center reports that most immigrant groups are comprised of young families. The likelihood that a child will be born while the parents are present in the U.S. is high. Prior to 2007, data collected on parents of children under 18 only identified one parent, and a second parent could only be identified if they were married to the first parent. Currently, a second parent identifier is considered whether or not the parents are married to each other. The new data more accurately reflects the number of children living in the U.S. with at least one foreign born parent. In 2008 that meant that 22% of all children in the United States had at least one foreign-born parent. In fact, consider the following statistics compiled by the Center for Immigration Studies in its March 2007 analysis. Immigrants and their U.S. born children under age 18, as a share of population: California - 37.9%, Los Angles County - 50%, New York State - 27.9%, New York City - 46.7% and Florida - 27.9%. “As a nation of immigrants, it is important to note that as our nation’s population increases due to immigrant migration, so too does the likelihood of increased cross-border child abduction,” Peter Thomas Senese added. The Office of Children's Issues at the Department of State was established to assist parents whose children have been unlawfully removed from the country. The OCI assists the remaining parent and strives to protect those children who have been victimized in these types of cases. Considering thousands of child custody cases are fought across national borders each year, the assistance of the OCI can be invaluable. Litigating custody, especially across international borders where conflicting orders may exist can be difficult if not impossible. The OCI aims to assist in these cases by enhancing an understanding of the many complex laws, both domestic and international that may be applicable to a particular case. However, OCI has significant limitations, including the fact that they cannot represent your abducted child in a foreign court. OCI does provide a list of lawyers in foreign countries who at times have worked pro bono on abduction cases. However, there are no obligations by any of these lawyers to take a case, and it is up to each Chasing Parent to work out all arrangements. The reality is that ‘pro bono’ sounds like a nice idea, but it is an unrealistic expectation. 1. Creating and distributing useful, concise information for chasing parents, law enforcement, and court personnel regarding all areas of IPCA. The use of digital media combined and supported by printed content is critical. 2. The development of an independent website outside of the Department of State’s website. This website must be easy to navigate, include audio and digital feeds, and must be accessible to individuals in various languages. 3. OCI must actively support advocates and lawmakers who are seeking to pass child abduction prevention laws. Support by OCI in this area can increase the visibility of the issues of child abduction while also increasing lawmaker and judiciary awareness. 4. Dissemination of information on the Children's Passport Issuance Alert Program. 5. Dissemination of information on the ‘Prevent Departure Program’, and dedicated resources established to assist lawyers and Chasing Parents seeking assistance under this program. 6. Increases in outreach toward documented and un-documented aliens about OCI, and the rights of their U.S. child-citizen. 7. Increase in personnel to support the tremendous workload of the OCI staff. Peter Thomas Senese, who produced and narrated the important documentary film on international parental child abduction titled,Chasing Parents: Racing Into the Storms of International Parental Child Abduction added, “One child criminally abducted and illegally detained overseas is one child too many. However, we are not referring to one child. We are referring to hundreds of thousands of our nation’s child-citizens who are at risk of abduction. 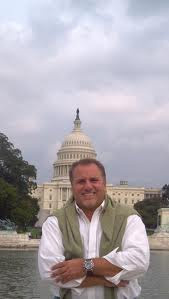 Peter Senese is a child abduction prevention advocate and a successful chasing parent. Peter was a lead advocate who successfully petitioned for the passage of the State of Florida’s ‘Child Abduction Prevention Act’ (CAPA), as well as raising public awareness of the widely unheard of federal child abduction prevention tool; specifically, the ‘Prevent Departure Program’ (PDP). He is the creator/writer/producer of the highly educational documentary film series ‘Chasing Parents: Racing Into The Storms Of International Parental Child Abduction’, the author of the critically acclaimed book on IPCA titled ‘Chasing The Cyclone’, as well as a successful author and the writer of an extensive number of articles and essays pertaining to IPCA. Peter has created and oversees one of the most comprehensive websites on IPCA (www.chasingthecyclone.com) where numerous essays and studies on child abduction and parenting can be found, including the eye-opening report ‘International Parental Child Abduction and Human Trafficking In The Western Hemisphere’ he co-authored with Ms. Vlk. Mr. Senese is a supporter of The Hague Convention and The Department of State’s Office Of Children’s Issues. To contact Peter Thomas Senese, please e-mail him at pthomas@chasingthecyclone.com. How Are Our Children Being Stolen Across International Borders? In the upcoming report titled 'How Are Our Children Being Stolen? ', Carolyn Ann Vlk and I will provide shocking information that answers this question. 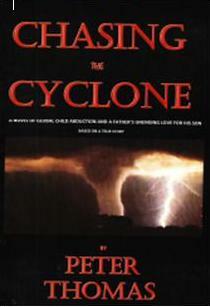 For more information on International Parental Child Abduciton, please visit 'Chasing The Cyclone'.